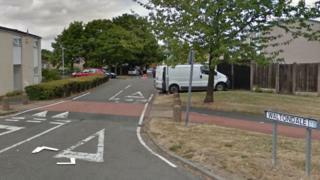 A man has appeared in court after a a 17-year-old boy suffered "serious" stab injuries. The teenager remains in hospital after he was found in Waltondale, Woodside, in Telford, Shropshire, at 23:20 GMT on Monday. Connor Shepherd, 18, of Willowfield, Telford appeared at Kidderminster Magistrates Court charged with grievous bodily harm and possession of a knife. He was remanded in custody to appear at Shrewsbury Crown Court on 18 March. The victim's injuries are not thought to be life-threatening. A 16-year-old boy, has been arrested "in connection with the assault", West Mercia Police said. Another man, aged 20, who was arrested has been released on police bail. The force said its inquiries are continuing.